I really wanted to like the Hawkesmill Monmouth and had some ridiculously high hopes that were let down with complete heartbreak. 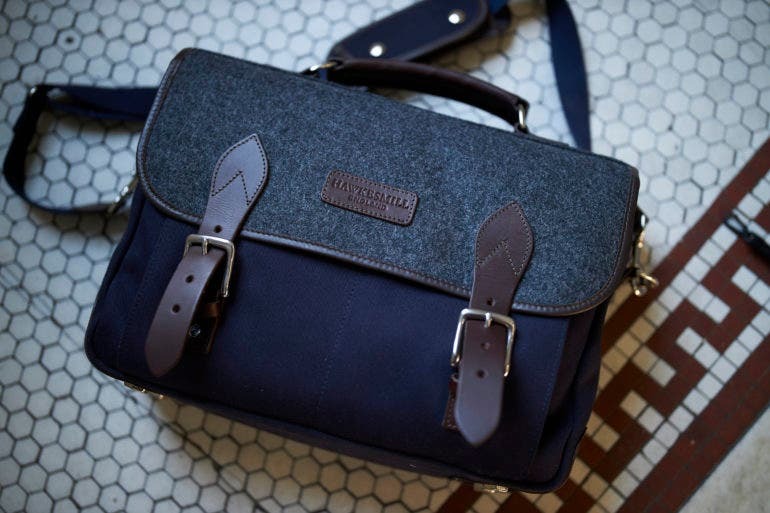 I had known that the Hawkesmill Monmouth was coming a while before its announcement, and in fact, I suggested to the company and a number of others that what the industry needs is a camera bag that can be a messenger and a backpack. By all rights, the Hawkesmill Monmouth is a messenger bag first and foremost made of some of the most luxurious materials I’ve ever seen. And as a messenger bag in and of itself, it isn’t bad. However, there are far more comfortable messenger bags out there that are also much lighter. In fact, I’m not even sure that this bag was totally designed with the photographer in mind. The Tarion M-02 is a backpack with a number of quirks, but that overall does a decent job. I purposely purchased the Tarion M-02 as a counterpoint to a reader’s comment on a previous review of ours claiming that we only review pricey camera bags. The truth that I’ve learned over the years is that that’s simply not true. A lot of work, care and design goes into camera bags with special emphasis on what photographers need like weather protection, quick access, security, etc. And in comparison, most bags don’t really have that. While the comment could surely have come from an ill informed place of internet nerd rage, I often try to do my best to satisfy everyone–and so the Tarion M-02 made me of the belief that I could. If WANDRD thinks photographers are going to love the WANDRD VEER18L, I’m very suspect. I’ve been a very big fan of WANDRD for a number of years, with my only complaint being their divider system. I never thought they’d come out with a product like the WANDRD VEER18L. When meeting with them briefly at Photokina 2018, I was told that an inflatable divider system will be coming. That’s one of the most innovative things about the WANDRD VEER18L. But I believe the rest of the bag and how it interacts with this new system is one of the biggest mistakes the company has made. As a company that I considered to be a more ethical option over Peak Design, I have to express my utter heartbreak and loss of faith in this product. One of the challenges of being a commercial photographer that travels frequently from assignment to assignment is that we often find ourselves having to travel with some rather expensive equipment. Nothing stings more than arriving at a job only to discover that your equipment had been damaged while in transit, leaving you with the stress of unexpected financial burden as well as the possibility of affecting your ability to fulfill your job commitments. To give themselves some peace of mind, many photographers opt to transport their equipment using hard cases similar to those used by the military. Molded from ultra high-strength polypropylene copolymer resin, the SKB iSeries 2011-7 Waterproof Utility Case meet the requirements set forth by multiple US military standards, and features a submersible, water and dust tight design which is resistant to impact and corrosion damage. 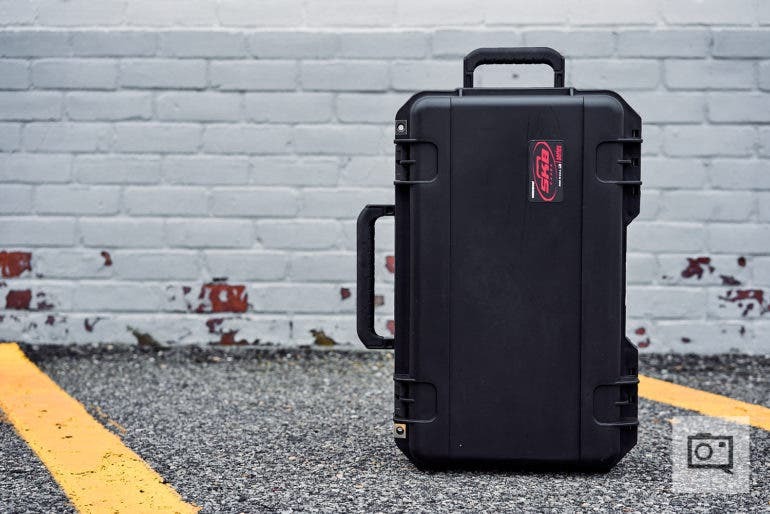 Designed with photographers in mind, SKB has outfitted the iSeries 2011-7 with a Think Tank designed lid organizer, as well as a nicely padded interior with plenty of velcro dividers to help keep the contents of the case secure. SKB was kind enough to send one of the iSeries 2011-7 cases over to us for an extended field test. You can learn about all of the case’s features as well as how it fared during our field test after the jump. The Tenba Solstice 24L is close to being the perfect hiking bag, but a couple of issues prevent it from being the ultimate trail companion. I tend to have long lasting relationships with my camera bags. When I find a bag I like it becomes a part of me. I get to know it, I take care of it, and I trust it with my belongings. When Tenba sent me the Solstice 24L to review I wondered if my relationship with my old trusty bag was coming to an end, and that perhaps this might be the start of something new. The Peak Design Travel Backpack has a lot wrong with it. 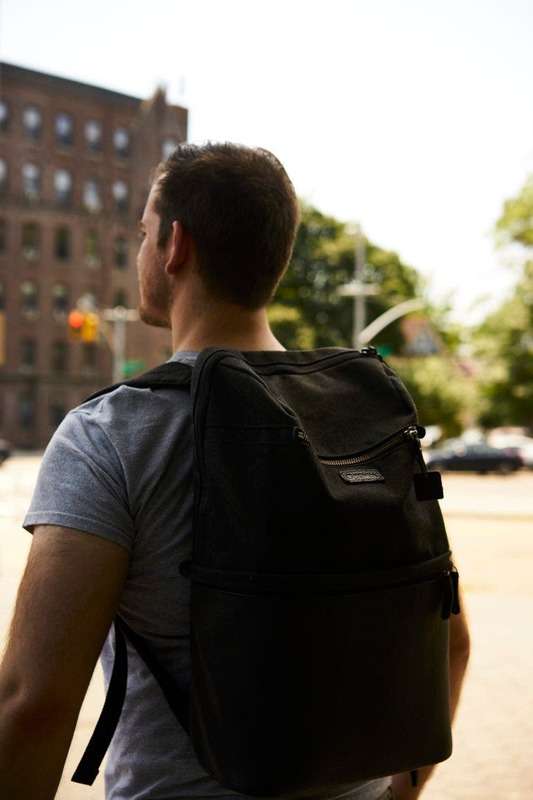 I spent perhaps an hour talking about this review with Imaging Resource’s Jaron Schneider before I even started writing it for the Peak Design Travel Backpack 45L. We spoke amongst ourselves and a number of other journalists on a press trip. In short, none of us like it; the only person I’ve met who does like it is a random guy on the plane who seemed a lot like an influencer or part of what I like to call the Peak Design cult. I tend to be harder on Peak Design products because I know they’re a company that can do better; they hired a designer from Apple for Christ’s sake! They’re a company that consistently hauls in more money than I’ll probably ever see in my life and unfortunately, this ranks up there with the lens swapper as one of the worst products I’ve ever used from Peak Design. 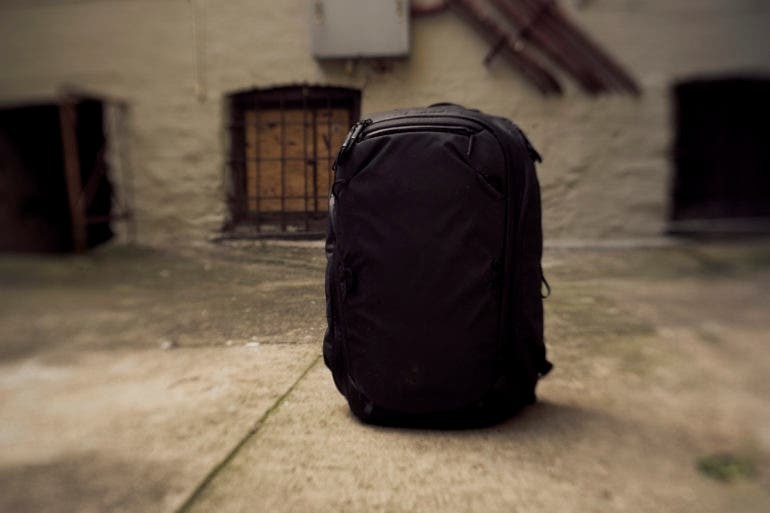 The WANDRD HEXAD Access Duffel holds a ton of stuff for photographers on the go. There are lots of options on the market when it comes to hauling our photography gear around. Small messenger bags are great if I’m just getting around town and traveling light with only a single camera body paired with a lens or two. If I need to bring more gear with me, like a laptop, a few more lenses, possibly a strobe or two, and maybe even a tripod, then I’ll usually default to a camera backpack. If I’m heading to a commercial job and have to bring my own gear rather than having a rental house send all the gear I’ll need over to the studio or location (which can sometimes happen due to budgetary restriction), then my go-to setup is usually a Pelican case or two, depending on the amount of gear I’ll need. Storage space is at a premium if I have to travel anywhere that involves flying, but my camera gear always comes onto the flight with me in a camera backpack while everything else goes into a weekend bag or a suit case, depending on the length of the trip. To say that a duffel is the last thing on my mind when it comes to transporting my gear is an understatement. I don’t know about you, but the idea of my cameras and lenses tossing around and bumping into each other inside a duffel is enough to give me nightmares. 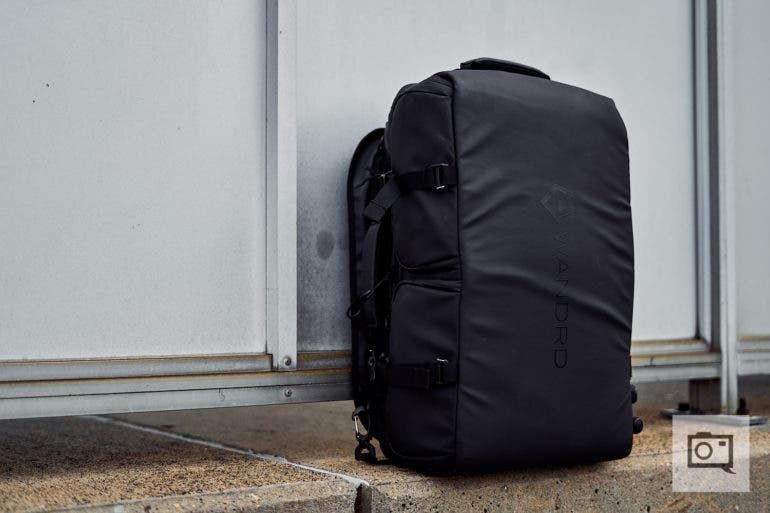 The WANDRD HEXAD Access Duffel promises to change all that, with 45 liters worth of capacity to hold plenty of photography equipment with room to spare for a weekend’s worth of clothes. 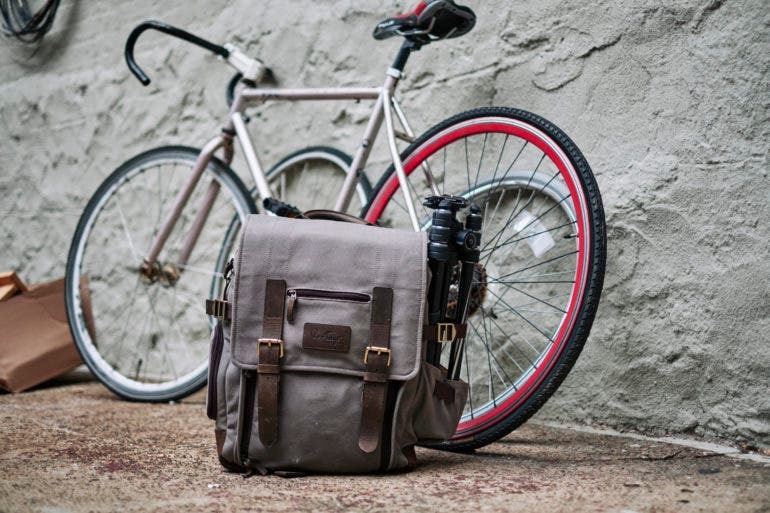 The Cecilia Lambert Camera Messenger Bag is pretty comfortable and has some low profile features that, if improved upon, can make it the ultimate messenger. 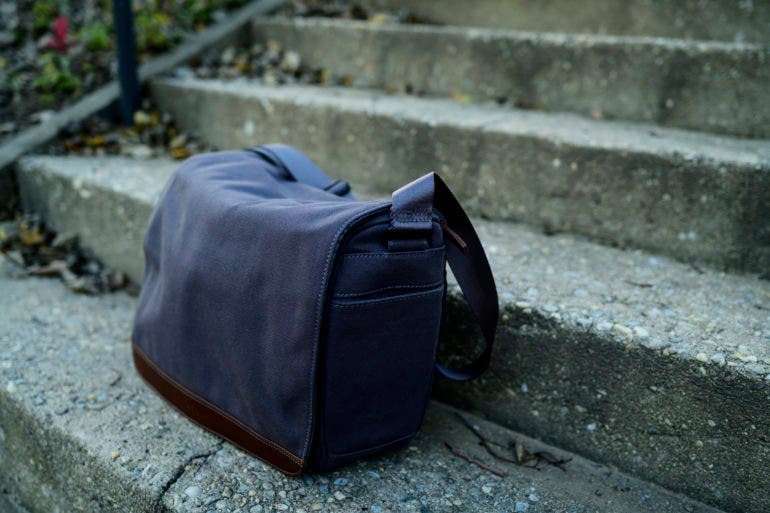 The Cecilia Lambert Camera Messenger Bag was announced a few weeks ago, and we got a moment to take a look at Photo Plus East and called one in for review. The bag is a fashionable messenger designed with a few key but differentiating design features that add to its overall unique nature. 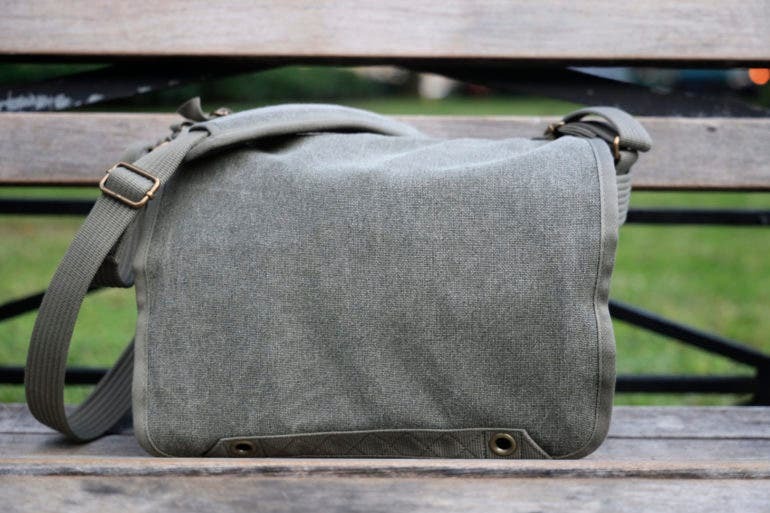 Being made of cotton canvas, the Cecilia Lambert Camera Messenger Bag has an exterior that is soft to the touch. There is also a bit of wax on the exterior to protect it from the elements and the drunk at the event you’re photographing. With lots of pockets, dividers, and a big strap, it is also designed with standards that lots of camera bag manufacturers have implemented over the years. The Portage Supply Kenora Backpack didn’t seem all that amazing; that is until I used it for a few months! When I was first told about the Portage Supply Kenora Backpack by my buddy Travis, I went out and bought the 3rd generation backpack off of Amazon. But after establishing a press relationship with the company, I was told about their 4th generation backpack, and for everyday use this has to be one of the best options that isn’t a roll top camera bag. 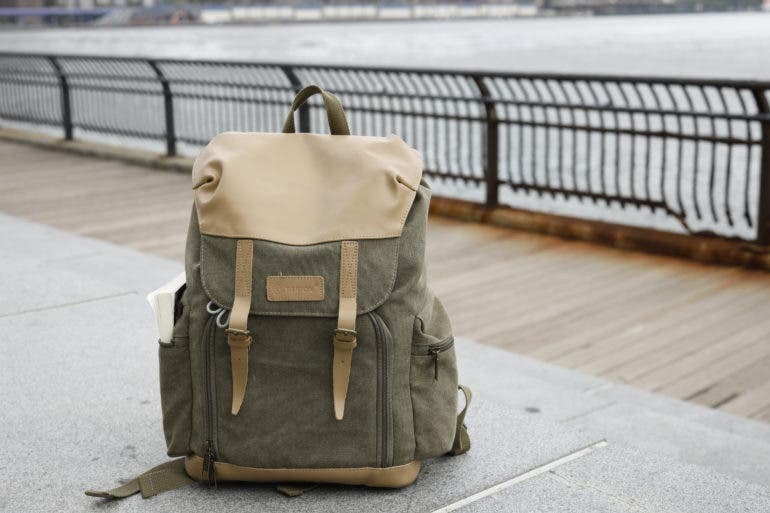 The Portage Supply Kenora Backpack has it all: looks, ruggedness, leather, canvas, quick access, and most importantly it’s comfortable. In fact, it’s the only backpack that I like that doesn’t have straps to secure it around your chest. Why? Well, in real life use I realized that the design is in such a way that it doesn’t need them. Yes, seriously–it doesn’t need them. 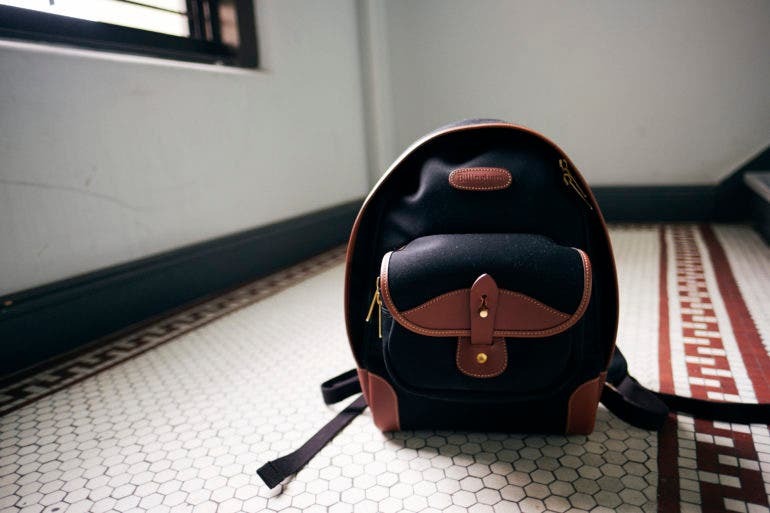 Cecilia enters the camera bag market with brand new backpacks and messenger bags. 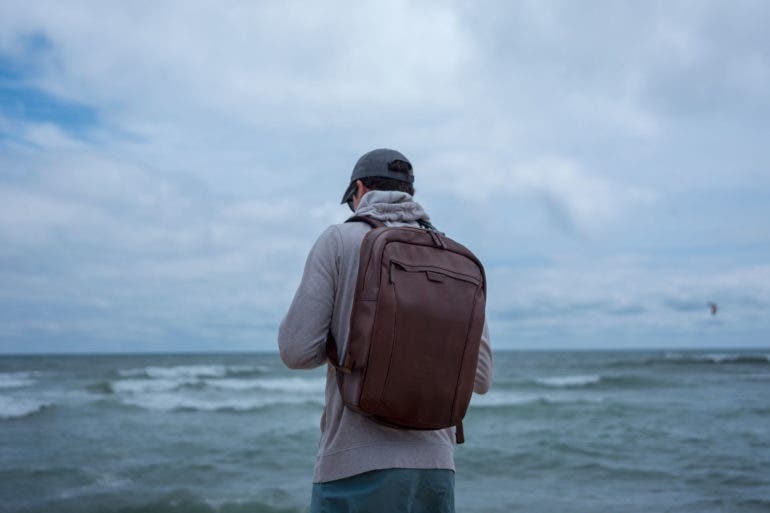 With over 160 years of experience crafting high quality leather goods, Cecilia announced today that they are releasing an all new lineup of camera backpacks and messenger bags. Named after world renowned cartographers, this new line of bags is made from full-grain cowhide or water resistant cotton canvas, and will be available in black or chestnut. The new bags are designed for both mirrorless and DSLR cameras, with room for additional lenses, accessories, and other daily carry items. The Peak Design Everyday Messenger 2 is better than the previous version, but it’s not perfect. The first version of the Peak Design Everyday Messenger bag was a hit with many people, although personally I wasn’t a huge fan of it. The original Peak Design Everyday Messenger wasn’t very ambidextrous and although the second version has surely made strides forward, there is still something very awkward about the bag that I think appeals more to tech bros more than anyone else. There is a lot of great technology and ideas in the bag, yet for what it’s worth I’m still not its biggest fan. Perhaps it’s because I’ve mostly moved over to backpacks, but the Peak Design Everyday Messenger 2 still doesn’t feel like a camera bag to me. Instead it feels like an every day bag that happens to be targeted at photographers. The Tenba Cooper DSLR Backpack is fantastic, but I wish they developed a version for the working travel photographer. Perhaps products that I spend the most time on for reviews here at the Phoblographer could be camera bags. In fact, I spent two months reviewing the Tenba Cooper DSLR Backpack before I decided to sit at my desk and pen this review. 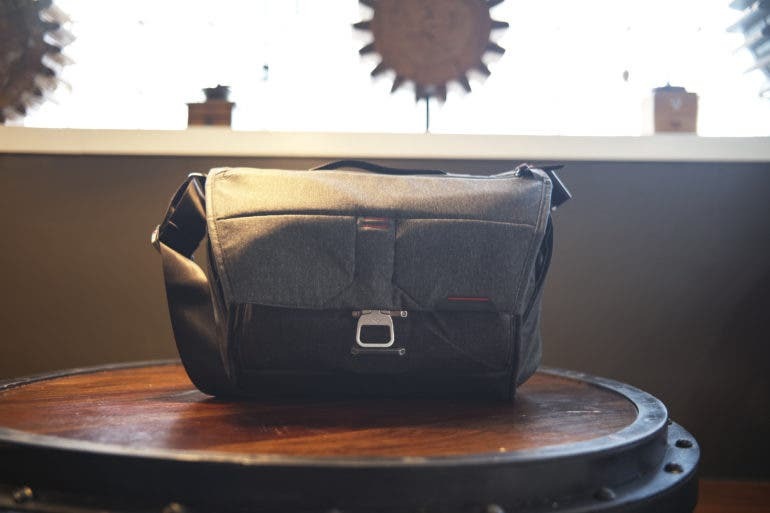 The Tenba Cooper Slim messenger bag was well loved by us, but what they were severely lacking was a backpack style of camera bag. Having admittedly seen the prototype of this a few years ago under non-disclosure, I was quite surprised with how the final version of the Tenba Cooper Backpack DSLR edition turned out. 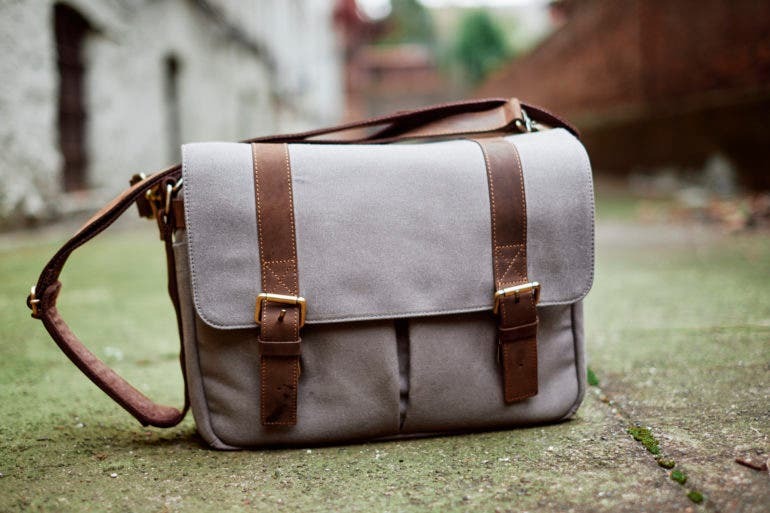 The final bag is one designed for city photographers who have a bit more time to churn out their images. It won’t accommodate a 13 or 15 inch laptop. Instead, it barely fits an iPad Air 2. Instead, it’s more specifically designed to hold your gear and any other necessities that you need while out and about. 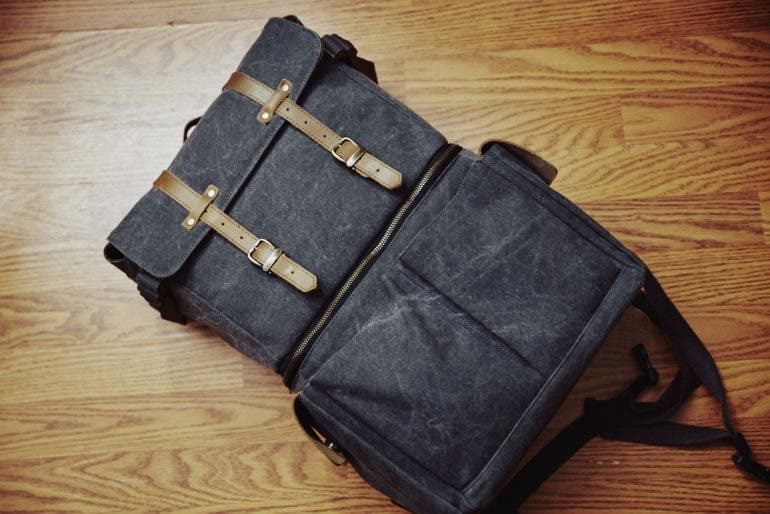 The Oliday Journeyman has become one of my absolute favorite camera bags. I tend to go through camera bags pretty often, but one of the few that has stuck with me for over a year is the Oliday Journeyman. If you came to my office and saw my closet, you’d see just how many camera bags I’ve collected. It’s pretty insane. But most of them just stay there in the closet–like a number of other reviewers. It’s rare that I’d actually go out and buy one, but I was intrigued by the Oliday Journeyman and so decided to give it a shot. Made with leather and canvas, this bag balances both style and functionality in a way that is practical for a variety of reasons. Is it perfect? No. But it’s very close. The Blackforest Bags K2 Leather Edition looks nice if you’re into Gucci. When the Blackforest Bags K2 Leather Edition came in for review, the first thing I thought about is how much it looks like a man purse. I’ve reviewed tons of stylish camera bags before, but more than anything else that I’ve used, the Blackforest Bags K2 Leather Edition seems best meant to accompany your super high end camera. Yet the Blackforest Bags K2 Leather Edition isn’t available at a super high end price. This version is the all-leather option, but there are offerings with canvas if you please. 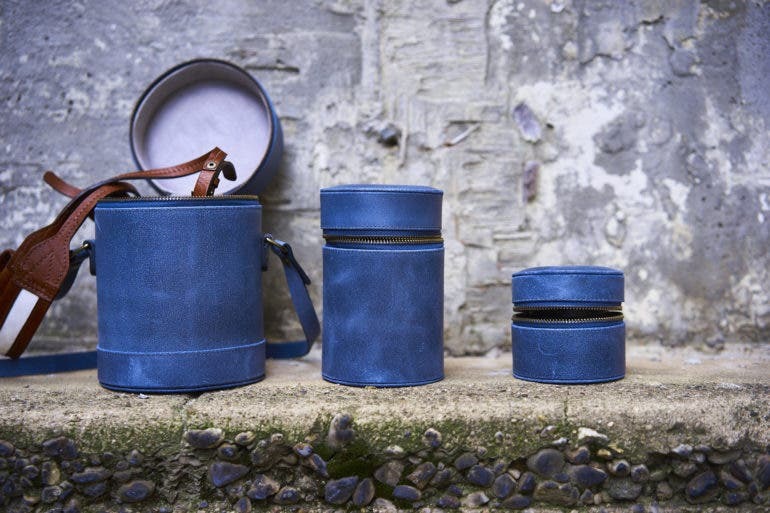 It’s not going to hold a laptop or most computing devices, but it will be more than enough for most things you’ll need to have with you while out shooting. Like most photographers, I’m always looking for “THE” perfect backpack: one that allows me to haul my entire kit with me when I’m shooting on location, travelling, or simply roaming the streets of New York City trying to capture the next decisive moment. Take it from someone who has used over a dozen different camera backpacks over the years, the Peak Design Everyday Backpack is as close to perfection as I’ve found. Is there room for improvement? Certainly. But until the inevitable 2.0 revision is released, the Peak Design Everyday Backpack is THE do it all, carry everything, go everywhere backpack to beat, and it’s certainly the best camera backpack I’ve had the pleasure of using. When the ONA Campbell series was first pitched to me, I was very cautious. There are a number of blogs out there that will simply send the products back and not give a review at all because they don’t like the product, but I choose to abide by FTC laws and give everything the coverage it truly deserves. With that said, you should know outright that I really don’t like the ONA Campbell series of lens cases and bags. To explain this, I should start from the top. There are so many things about the HEX Raven DSLR Sling Camera Bag that could have made it the absolute perfect bag for the commuter in a city not as densely populated as NYC. At the same time however, the HEX Raven DSLR Sling Camera Bag can be easily converted to be a sling bag for everyday use–and that’s where I feel it excels the most. Photographers (most of them) may appreciate just how comfortable the sling can be. Others may like the weather sealing and the semi-stylish design. And yet others may really enjoy the fact that it doesn’t look like a camera bag. Indeed the HEX Raven DSLR Sling Camera Bag has a lot going for it: though at the same time there are things that show HEX still has some way to go when it comes to design. 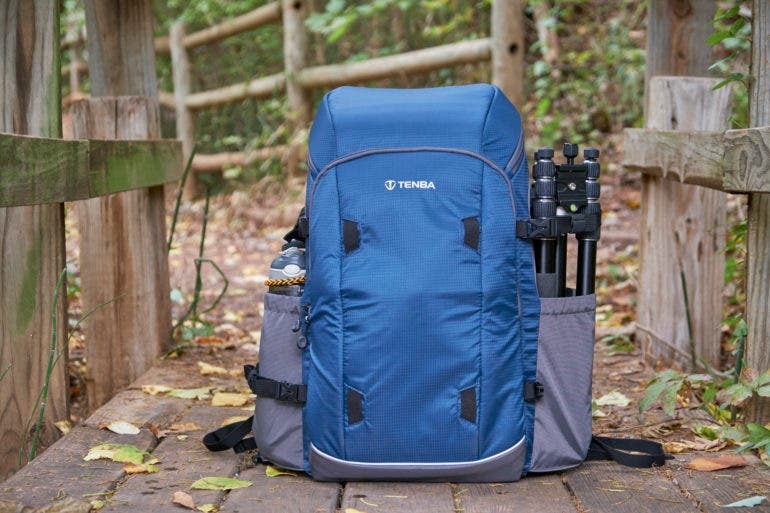 The Tenba DNA 15 Backpack is so incredibly functional; and it doesn’t look too bad either. 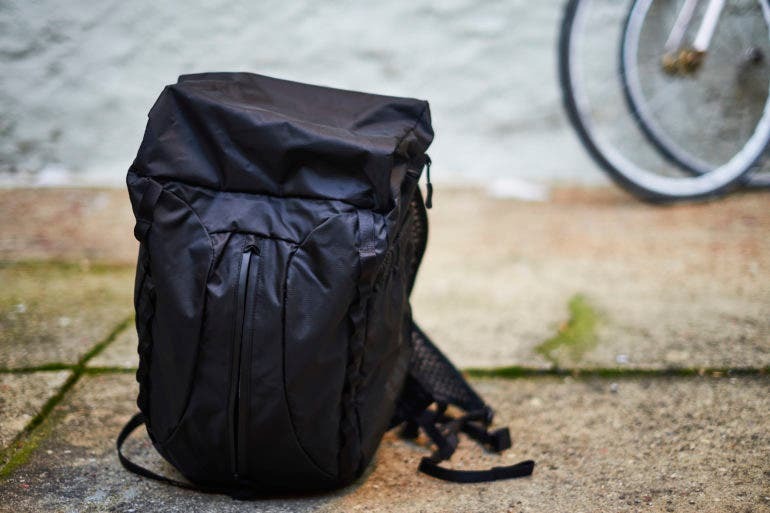 For the past few months, one bag has really dominated my use: the Tenba DNA 15 backpack. 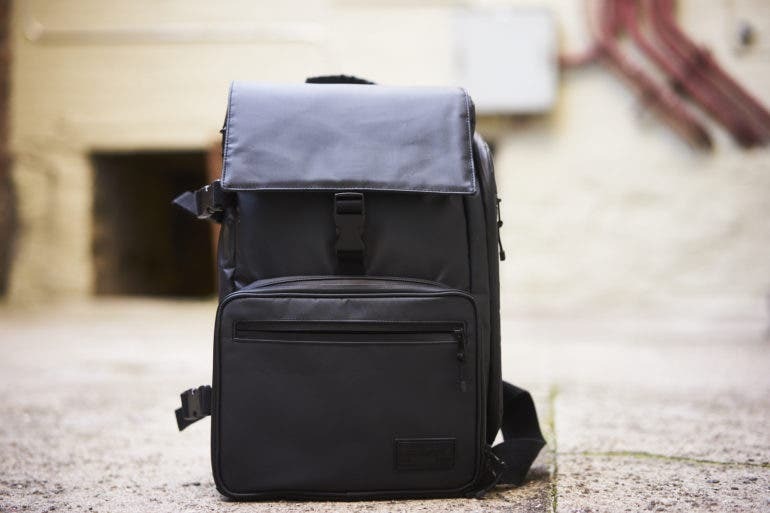 The Tenba DNA messenger line was designed for commuters in large cities and was billed as being stylish–though quite honestly it’s nowhere near as eye catching as their Cooper series. 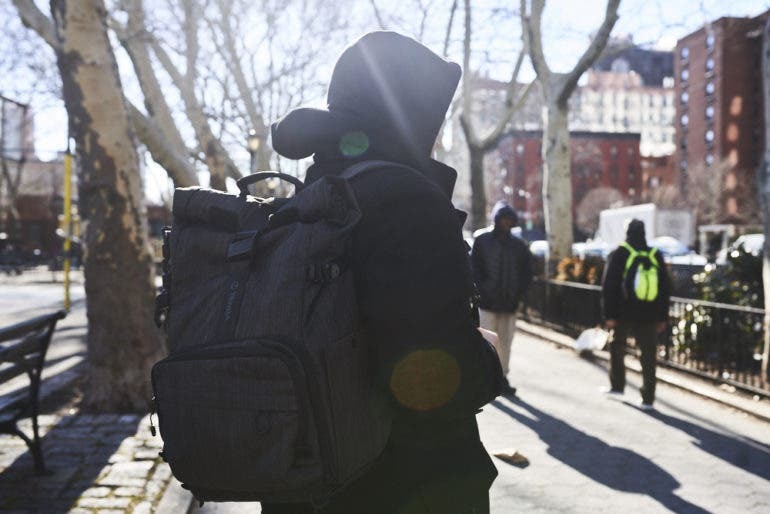 The Tenba DNA 15 backpack follows the same ideology but brings the idea to a backpack. They’re nice, but more so in a functional way that gives a photographer all they need while not being super ugly, breaking the bank, or making you look like you subscribe to the bro culture deeply rooted in everything Peak Design ever manufactured. 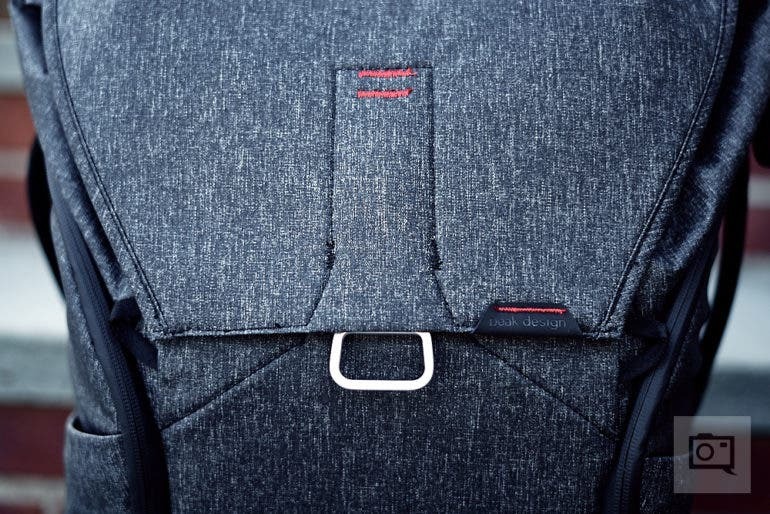 Instead, the Tenba DNA backpack is a beast all in its own, incorporating a roll-top style design, pockets on the side, pockets within pockets, and a really nice way to access your gear. Best of all: it works really, really well when you’re traveling on airplanes.